A number of other officers who were not happy that the journalists had tried to video the incident and the ensuing exchange of words between their driver and the police officer reportedly pounced on the journalists and beat them up. Sambuo, a lactating mother collapsed and was rushed to the emergency unit of the Ridge Hospital for treatment. Interior minister, Ambrose Dery has apologised for the incident. “On behalf of my Ministry, I want to apologise for whatever actions of those in my sector agency might have done to you…we are all about freedom of expression,” he told the media, Wednesday. 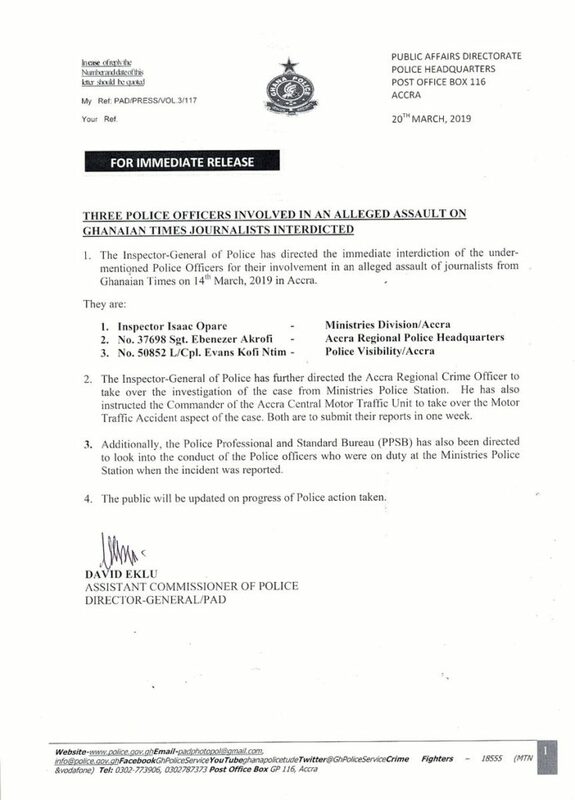 Meanwhile, the assaulted journalists, according to the Ghanaian Times authorities, are recuperating.